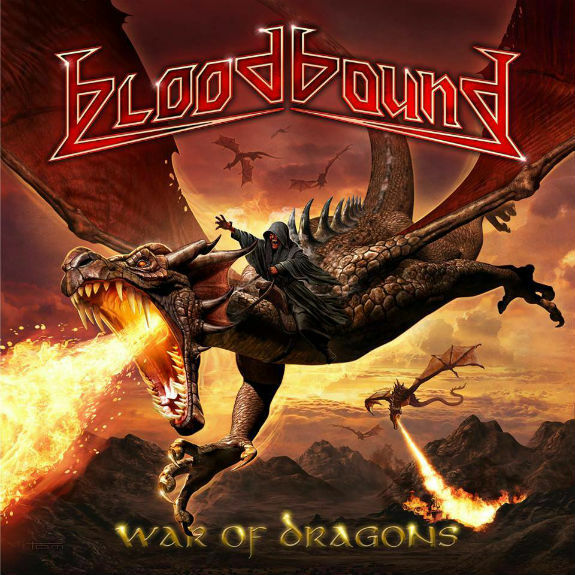 Bloodbound Reveals New Album "War Of Dragons"
The band's first headlining tour is also announced, which will feature Crystal Viper and Thobbe Englund. "In the past we have toured a lot as a support act to bands like Sabaton, Hammerfall and U.D.O.. We felt that the time was right to do our own tour now so we can give the fans a full concert, not just a short support set," Bloodbound's Fredrik Bergh says. "We wanted to have a great package of bands, so we invited our awesome label mates Crystal Viper to join us as co-headliners and as a very special guest we will bring our friend Thobbe Englund (ex-Sabaton) and his brand new killer band! Thobbe will also join us as 2nd guitarist on this tour since Henrik Olsson is unable to perform." 0 Comments on "Bloodbound Reveals 'War Of Dragons'"